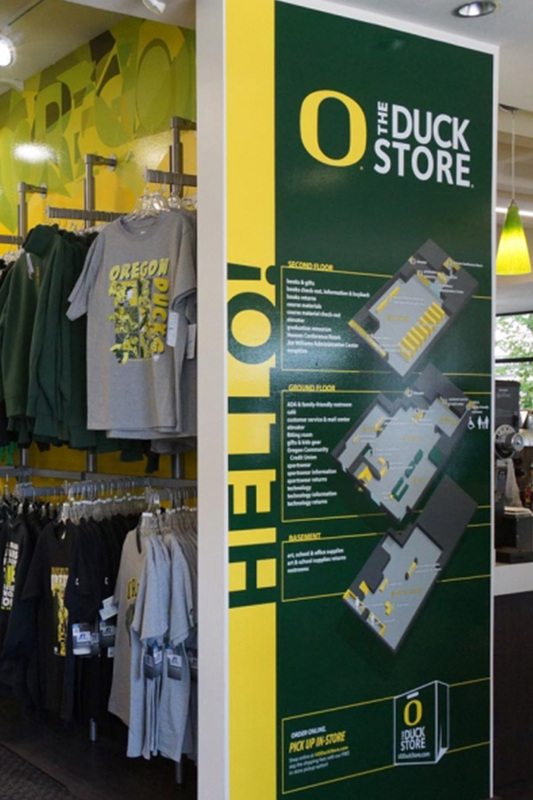 Customize your office, campus or retail space with printed or solid-color graphics applied directly to the walls. 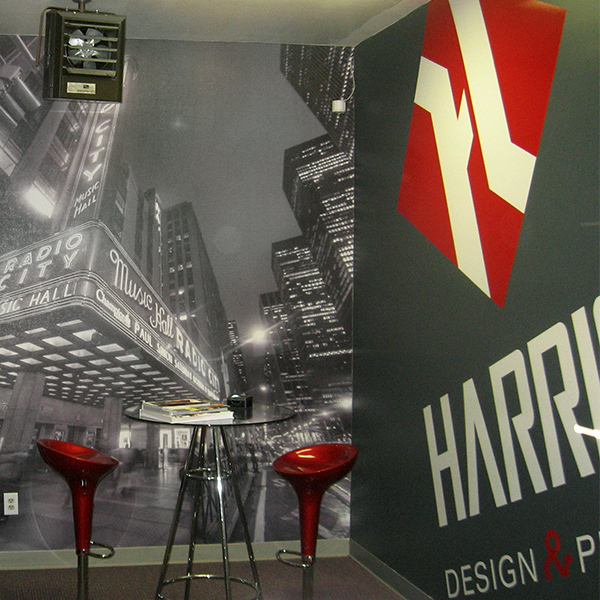 We can make permanent, long-lasting murals, or removable and changeable graphics. Our materials are designed to apply to standard, painted drywall and some other smooth, indoor surfaces. Give us a call! This type of custom project takes collaboration to ensure the end product fits right and looks beautiful. 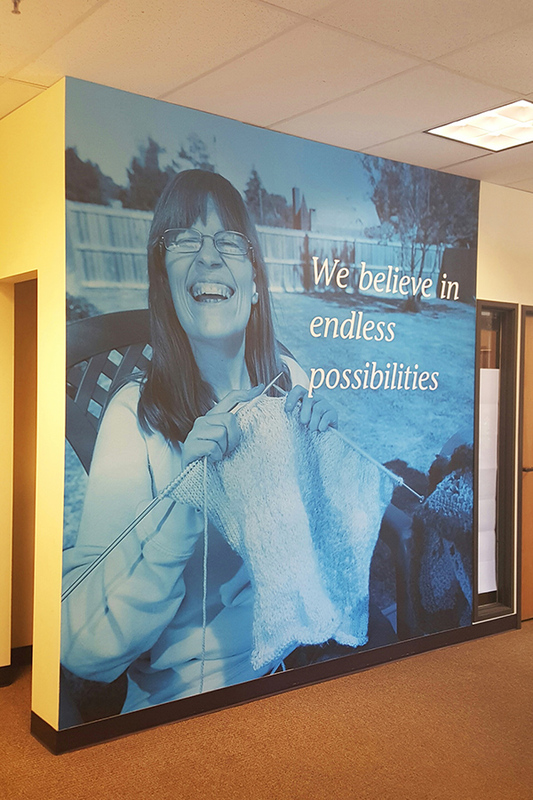 Printed wall graphics are excellent for permanent wayfinding, accent designs, or small wall murals. The vinyl conforms to the texture of the wall creating an integrated look. 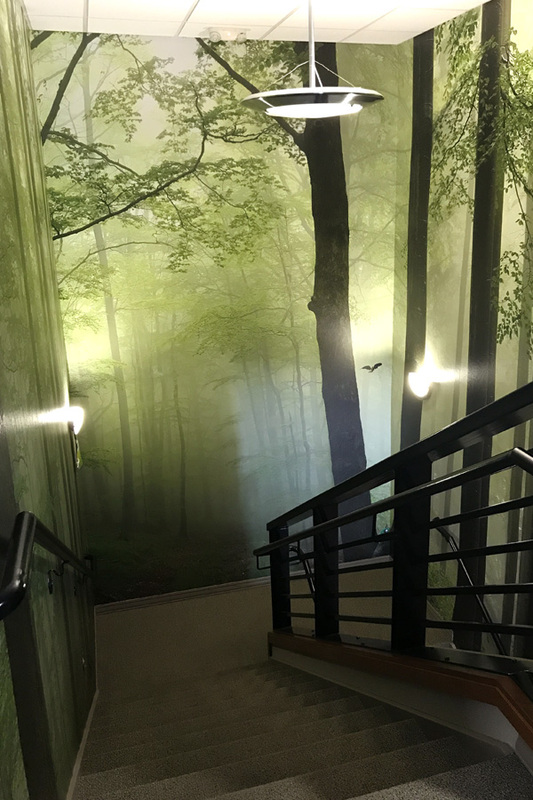 We can create partial coverage, cut-to-shape graphics that allow the paint color to be part of the overall look or cover a full wall. 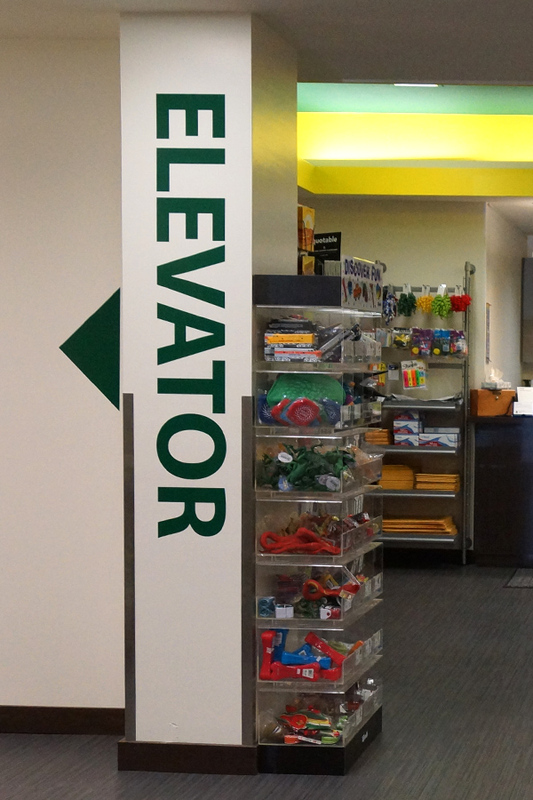 Select from a variety of vibrant colors and metallic finishes for permanent wayfinding, accent designs, or wall logos. The vinyl conforms to the texture of the wall creating an integrated look.